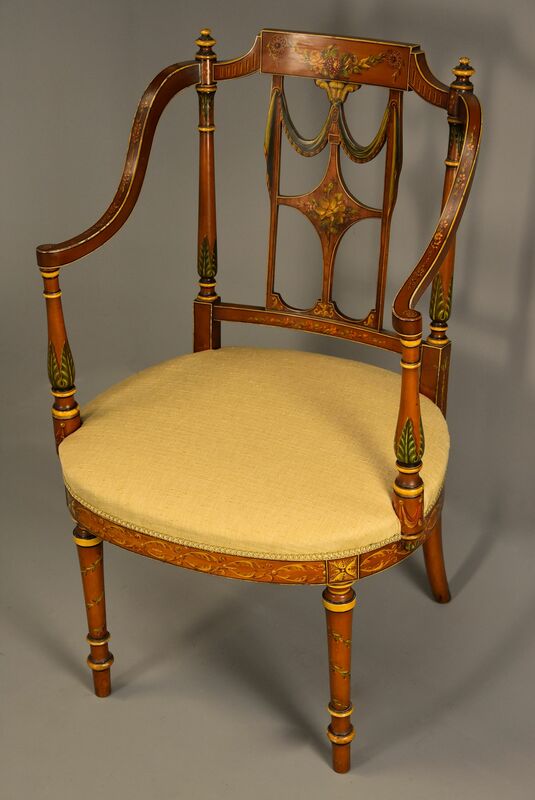 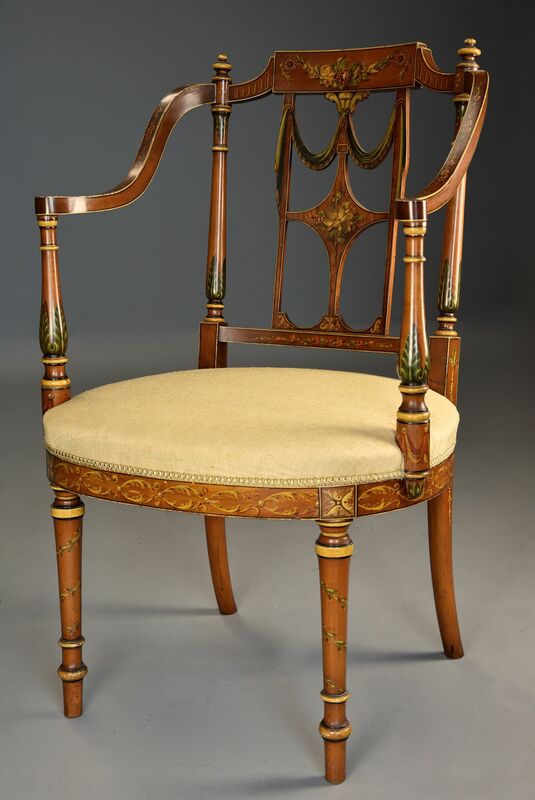 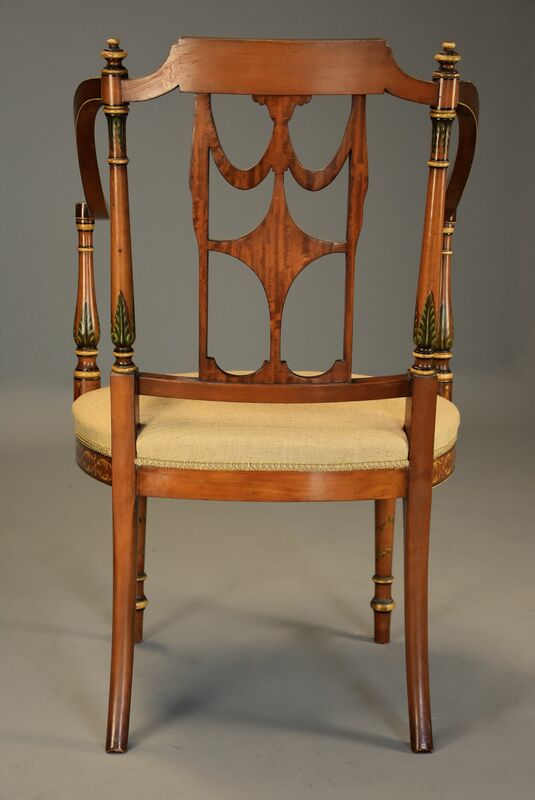 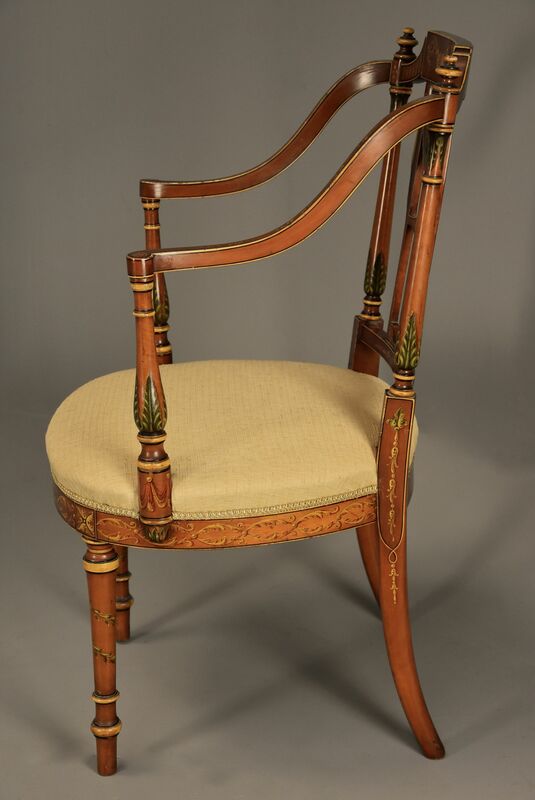 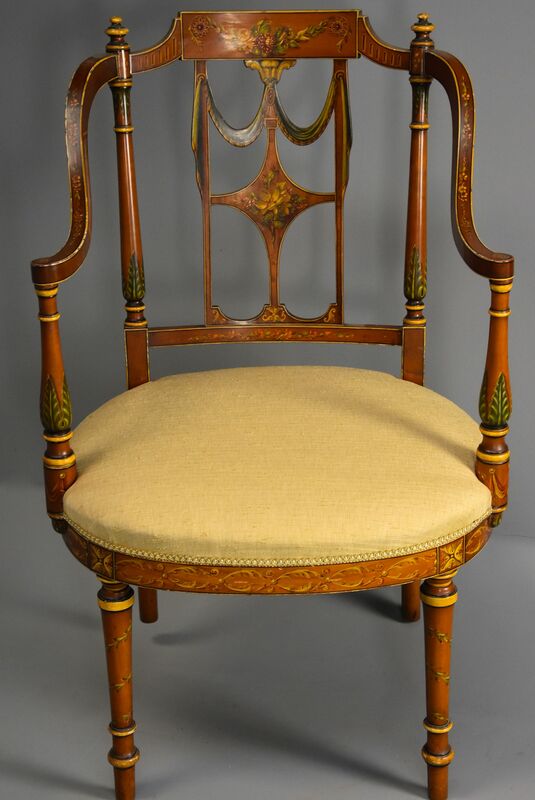 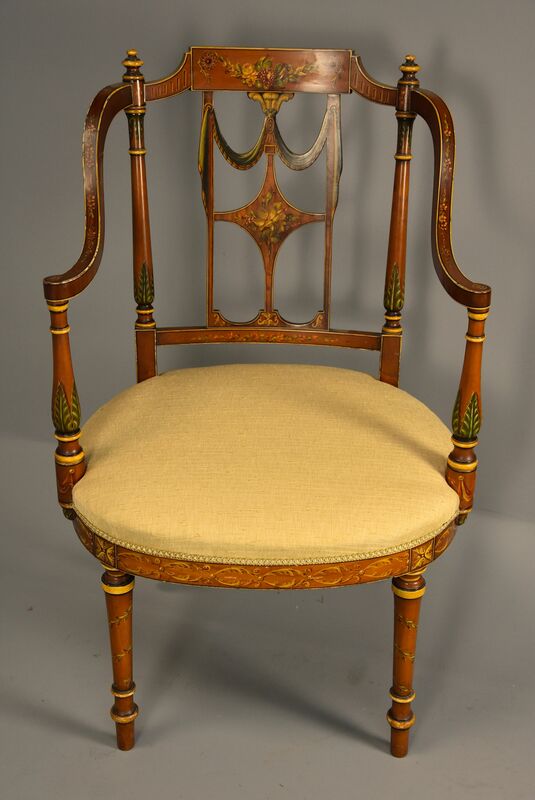 This chair consists of an extremely elaborate back with fine Classical influenced painted decoration with central panel to the top rail with floral design with painted stringing and fluted decoration to either side. 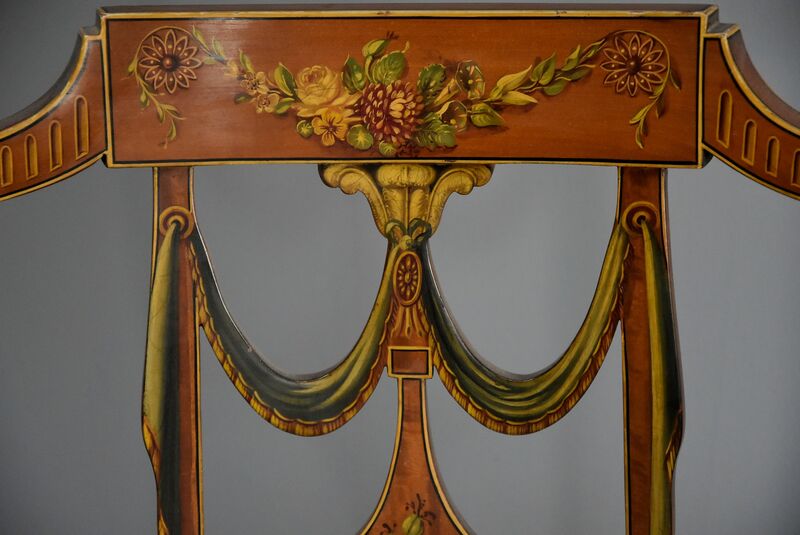 This leads down to a finely painted back splat consisting of Prince of Wales feathers to the top with swag decoration leading down to painted floral design. 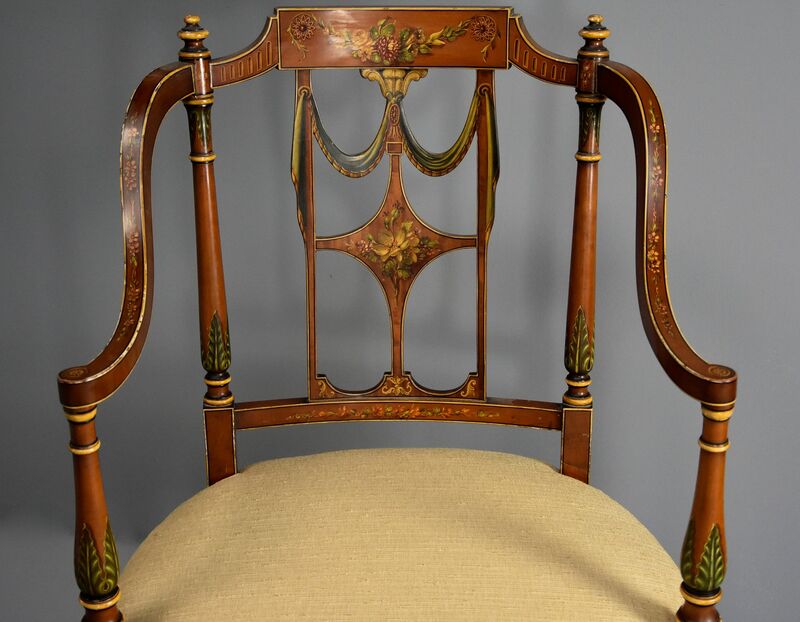 The outer turned uprights with finials to the top and foliate painted decoration to the top and bottom, the finely executed shaped arms with delicate floral design with turned arm supports with finely painted foliate and swag decoration. 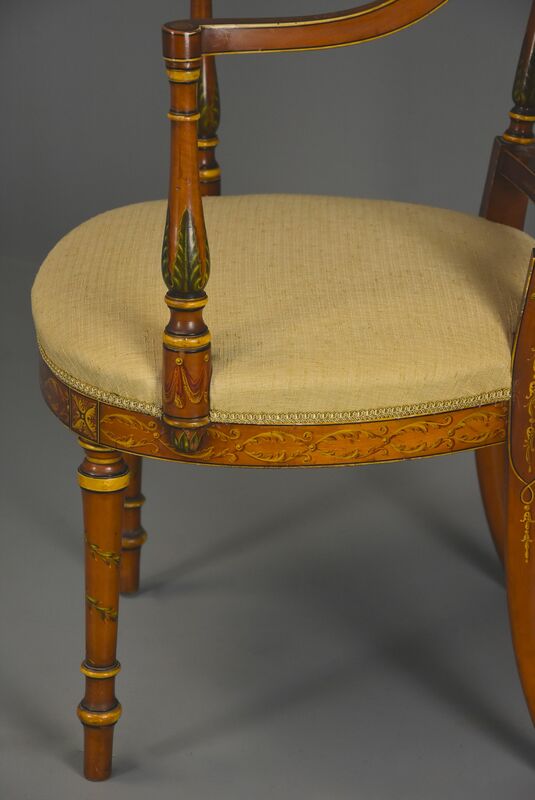 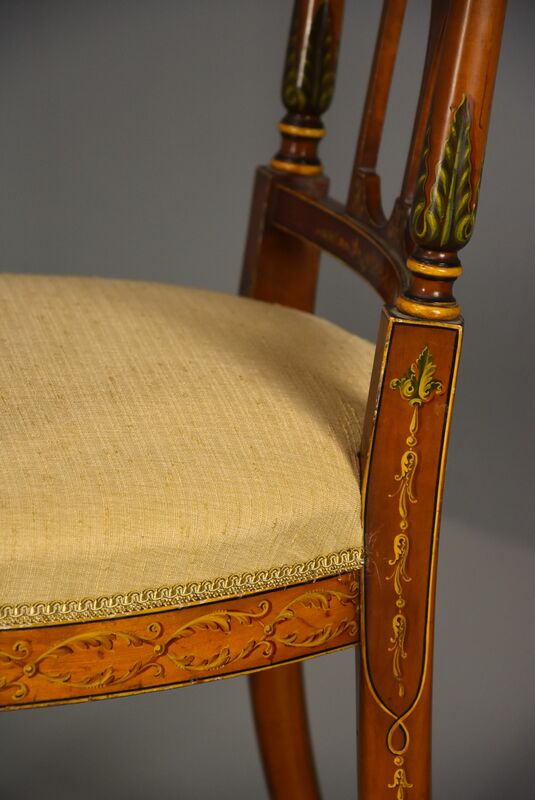 The seat, of oval form, finished in a neutral fabric (this could be easily be changed once purchased to a fabric of choice) leads down to an oval seat rail with finely painted foliate decoration with square painted foliate paterae. 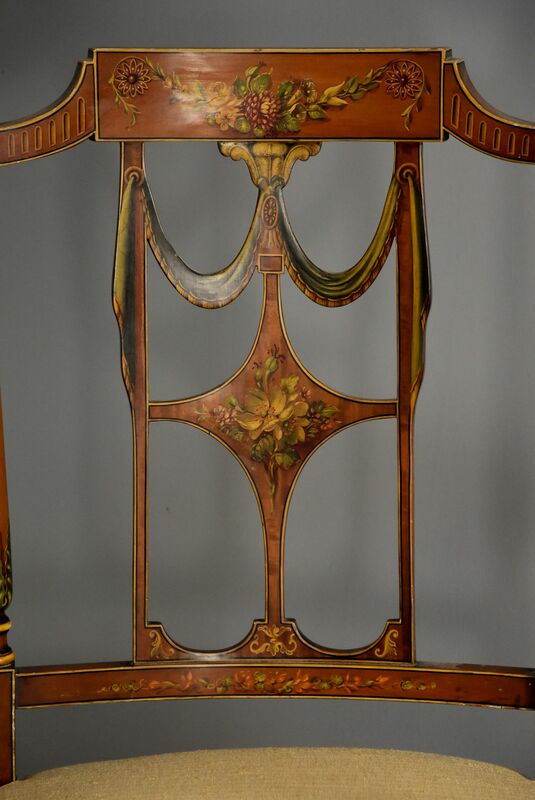 The chair is supported by two turned legs to the front with foliate painted decoration with outswept legs to the back. 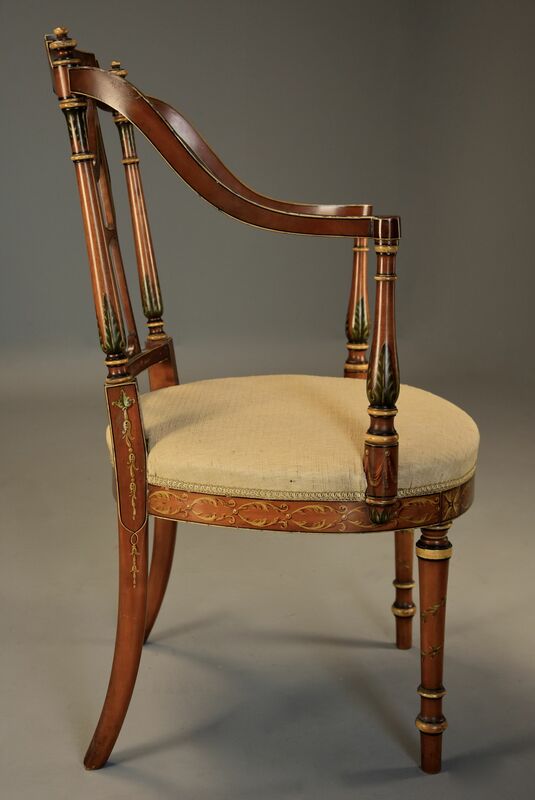 This chair is in excellent condition for age, is of stable construction and can go straight into a home.